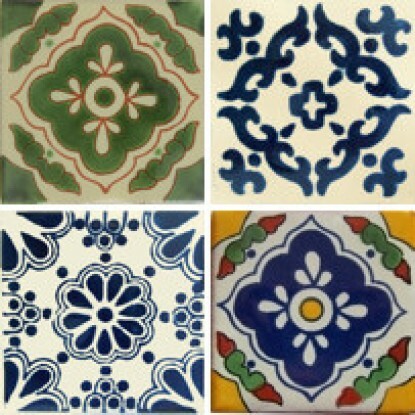 Our handmade Classic Design tiles are Spanish, Mediterranean & Mexican in heritage. 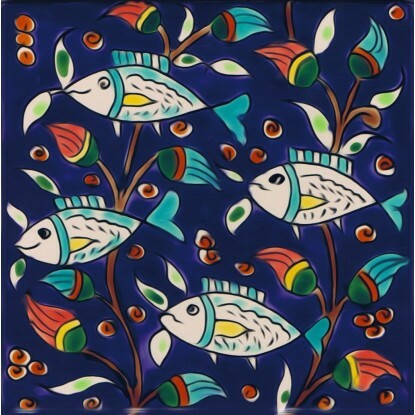 Our handmade and handpainted fish scale tiles are available in 4 different colours and originate from Portugal. You might want to use 1 colour or all 4 in your feature. Either way, it will look great! 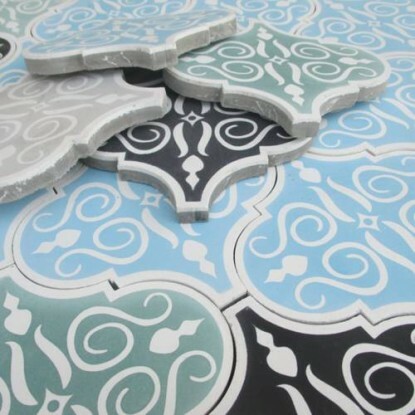 The Arabesque Lantern Tiles are created the traditional way - handmade and hand painted. 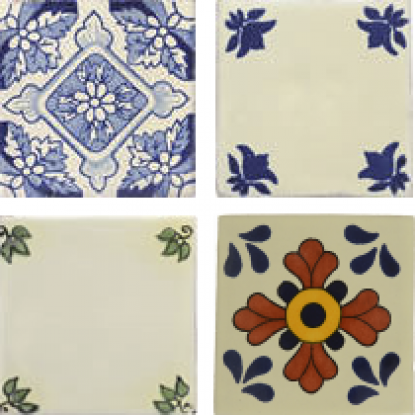 Our Mixed Sets are groupings of tiles that work together to create vibrant patchwork designs. 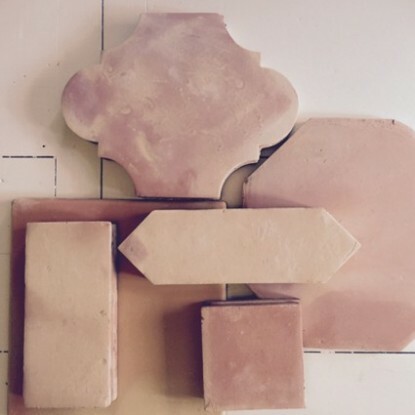 Authentic, handmade, cave-fired, Saltillo clay floor tiles. 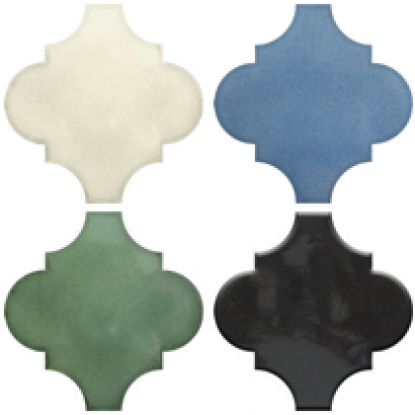 The Moroccan inspired tiles are a selection from our other design ranges with distinct Moroccan flare. 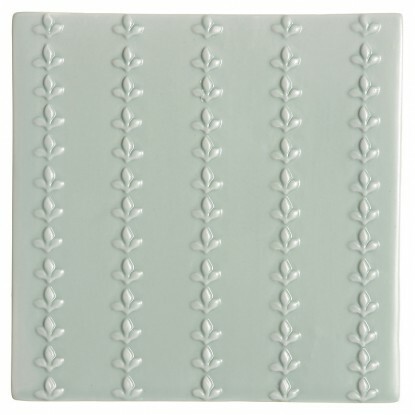 The Antique inspired tiles have true old world charm – full of hand-crafted characteristics. Our own embossed designs, handmade & hand painted. Traditional & timeless. 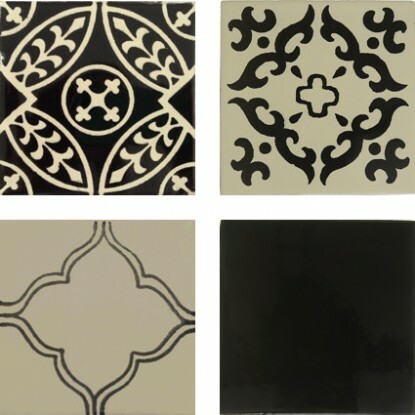 The Black & White Collection - timeless monochrome designs with a modern twist. 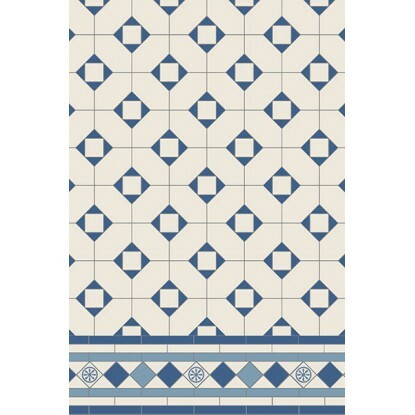 The Blue & White Collection - always stylish and fresh featuring the most gorgeous designs. 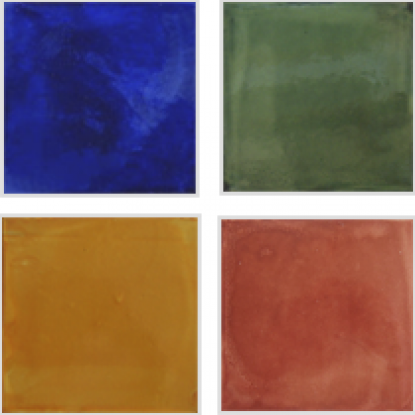 The solid coloured tiles are the perfect match for our other design ranges or beautiful on their own. 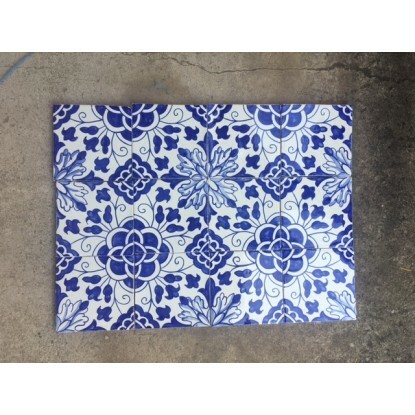 These tiles vary in size, height and weight because they are handmade. 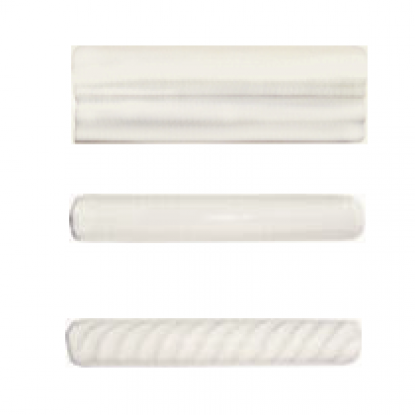 A selection of designs from our Classics and Solids ranges in 50mmx50mm size. Borders & frames to complete your design. All trims are handmade & hand painted. Ceramic and copper sinks. Items to add the finishing touch or to be your inspiration. Authentic Moroccan pouf, hand sewn and made. 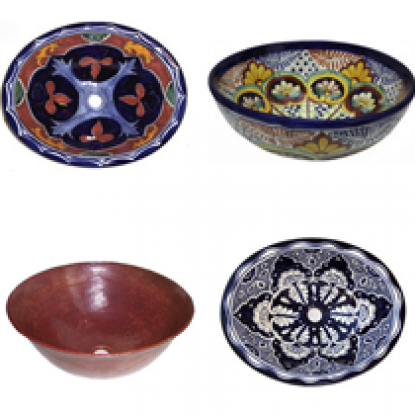 Bring a touch of Marrackech living to your home! 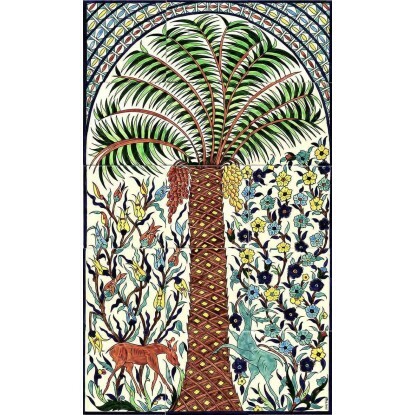 Original and authentic hand painted ceramic tiles. 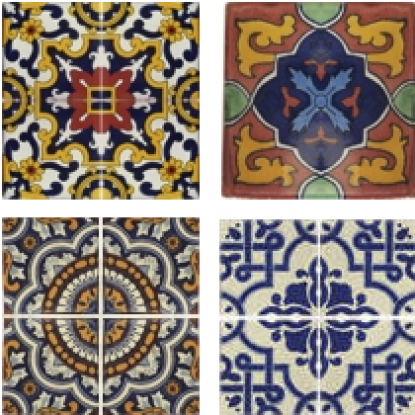 ON SPECIAL - This range of beautiful Mexican / Spanish tiles are on sale! 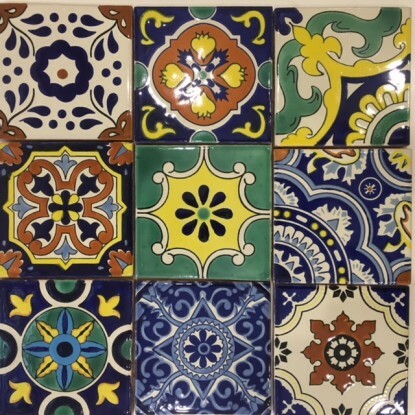 A randmon selection of Broken Tiles for Mosaic Use.